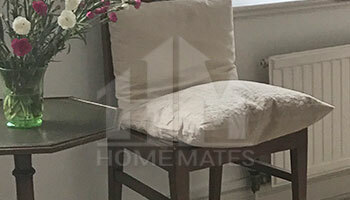 Keep your home neat and clean thanks to the professional home cleaning services provided by HomeMates in Hammersmith, W6. Book your cleaner now! You can have your carpets, furniture, floors and sanitary ware disinfected and kept in hygienic and good condition, if you use our home cleaning services regularly. We can guarantee you brilliant results of our cleaning work. If you live in Hammersmith, W6 call us and order the home cleaning you need, provided by our company. If your home hasn’t been cleaned for a long time, you can use our high-quality and affordable home cleaning services. They will make your rooms spotless and perfectly sanitised. The dust, stains and grime will be removed from your rooms by our qualified and reliable cleaning technicians. If you rely on our company to provide the necessary cleaning, every room in your home will be perfectly sanitised. Our cleaning staff is supplied with the best cleaning equipment in Hammersmith, W6 and uses cleaning solutions which are harmless for humans and pets. All of our cleaning technicians attend regular training courses to keep their skills on the necessary level. They will arrive at your address, equipped with the necessary machines and detergents. The kitchen, bedrooms, living rooms, bathroom, toilet, hallway will be sanitised and rid of all the dirt and dust, gathered inside them. You can rely on our cleaning staff to take care of the condition of your home any time. We provide affordable and professional home cleaning, which will ensure you flawlessly clean rooms. You can call us and order the home cleaning you need, provided in Hammersmith, W6 seven days in the week. Call our contact numbers and schedule your cleaning for a time of your preference. We will send our qualified and experienced cleaning technicians to your home and they will sanitized every room in it. You can order your home cleaning by using our customer support centre, working 24/7. You can also send your cleaning request using our website.